When I start to plan a trip that will be taking me into the wilderness, three common questions always pop into my mind: Where am I going, what type of terrain will I be hiking into and what gear am I going to need. All three are important, but the last one just may be the most essential. Each piece of gear can make the trip more enjoyable and nothing is more vital than a good hunting pack to get you and your gear from start to finish. All the gadgets and equipment are meaningless without something to transport them in, depending on your situation. I have had the opportunity to test all these packs in the last few months, loading them with the same gear I would need for a full day of hunting. My gear with spotting scope, tripod, gun, ammo and essentials weighed in at 34 lbs. ALPS Outdoorz makes one of the most comfortable packs I have used to date. The Extreme Commander X pack is a full size pack to cover almost any need while hunting. With up to 4000 cubic inches, you have plenty of room for your gear and also room for your meat and cape after a successful walk-about. You can detach the main compartment from the frame for an exclusive frame pack or expand it out to haul your cape or meat between the main pack and the frame. The top-loading, main section of the pack is separate from the bottom and really helps the load carry steady while hiking. This feature helps to keep your heavy gear from swinging to the bottom of the pack and increasing the weight on your shoulders. It also has horizontal compression straps to keep the load from swaying. The spotter pocket accepts my 80 mm spotting scope easily and is fleece lined to help nestle and protect my valuable equipment. The Extreme Commander X pack easily adjusts to your torso. It rides very well for a large pack and has a gun pocket to hold your firearm while hiking. It also has a rain cover in a small pocket to keep your gear dry in downpours. I really like this pack for comfort, size, storage and versatility. The Sitka Bivy 30 pack was next on my list to test out. This 3000 cubic inch pack is fairly lightweight and is kept pretty simple with some helpful features for a day of hunting. The Bivy 30 is made for a full day of hunting. It has one large main compartment, which held all of my gear with some room to spare. The pack is made from the same polyester stretch weave that is used in their pants, which is a very soft, yet rugged material that will hold up to the conditions and also dry quickly if it gets wet. The pack has horizontal straps to carry some gear like a jacket on the outside so you can access it quickly. The pack rode very well and did not dig into my shoulders like I thought the smaller shoulders straps would do. Surprisingly, they felt great when hiking with a full load. The front accessory pouch held my 80 mm spotter easy and gave me room for my gloves and hat. To save on weight, there is no side pouches for a tripod, but the horizontal straps worked out for me to secure it to the pack. The Bivy 30 features an aluminum brace for supporting heavy loads and uses an outward arch to allow airflow between your back and the pack. Sitka stores a Bivy sleep pad inside the main compartment, a very welcomed feature as this is a great accessory for a long day of glassing. I also enjoyed sleeping on the pad for a catnap and it also kept dirt from getting all over my clothes. Overall, the Sitka Bivy 30 rode well with all my gear and easily adjusted to my body. One suggestion that I would make is that they might incorporate a place for a tripod and maybe a gun sling pocket to round it out. The name says it all. The Eberlstock Just One pack has evolved into a jack-of-all-trades for a daypack. The pack is like a transformer; it looks medium sized at 2300 cubic inches, but expands out to 4600 cubic inches using Eberlestocks built-in cam extension system. One of the first things you notice with this pack is the padding. You might think this is needless extra weight, but when you load the pack and start hiking, you will fall in love with the teddy bear hugging your back. It was extremely comfortable and adjustable to my style of hiking. The Just One has two wings to hold your spotting scope and tripod. The center section also has two more compartments that held my 80mm spotter easily. There is ample webbing to hold small clip-on gear. I was able to fit all my day gear easily into the 2300 cubic inch version and when you open the packs expansion system, you have double the space for hauling out quarters, hides and other gear. I first tried the Just One when it came out years ago, but the new improvements are ingenious. Eberlestock builds one of the toughest user-friendly packs out there. They also believe in a system of accessories that can be used with the pack, like the super spike duffel that will increase the pack to an amazing 7500 cubic inches if you’re man enough to handle it. The easy access, open gun scabbard that is built into the pack is awesome. You can grab or store your rifle without taking off the pack in a matter of seconds. It also lets your rifle ride protected and secure. I didn’t find any complaints with this pack on any of my hikes. Under Armour is well-known for making quality athletic gear. They have now brought the same mentality with their designs and products for the hunting minded consumer. The 1800 was the smallest pack I used during my testing, but offers plenty of features. The size of the pack would not hold all of my normal gear, but that wasn’t entirely disappointing. It actually made me think about some gear I could do without, making the pack a few pounds lighter. Under Armour uses a rip stop fabric for their shell, which was actually quieter than I anticipated. The large main pouch allowed for my water hydration system and storing the bulk of my gear. The smaller outside pouch stored my smaller items like headlamps, food, knives, etc. The waist belt has shell holders sown into the belt, which I really liked for storing extra ammo. Its small size will easily allow you to raise your weapon and shoot with the pack on your back and grab some extra bullets without taking the pack off, if needed. The side expansion pockets held my 80 mm spotter, but without a secure top strap I had to store it inside the pack, which took up some valuable real estate. The 1800 also has a built-in blaze orange water jacket and drop down weapon pocket. The pack rode very well, even though I had it maxed-out with gear. Even though it would serve the purpose for a full-day hunting pack, I would like to see Under Armour expand this pack into a 2800 or larger daypack. Slumberjack has been making terrific outdoor gear for many years now. I had the chance to take their Carbine 2500 daypack for a test run this summer. The Carbine held all 34 lbs. of my gear. The smaller, outside pouches, held my small gear securely and organized. What I like about these pouches is they double as a gun or bow holder for hands-free hunting. It also offers some protection for your weapon when hiking through brush. The Carbine also has two side pouches that will hold your spotter and tripod. They are versatile and also have small storage pouches for extra gear. There is plenty of webbing to attach gear with and the waist belt offers room for your handgun in bear country. The 2500 Carbine handles your gear comfortably. It is hydration compatible and the harness adjusted easily to where I like to carry my load. The pack is big enough and tough enough to handle an elk quarter, while still getting your gear back to camp. The polyester shell is very rugged, but seemed to be a little loud when a dry branch would scrap across the shell. Not a big complaint, but could pose problems for an early season archery hunt while putting the stalk on an animal with your pack on. Overall, Slumberjack’s 2500 Carbine rode pretty good with the weight, was easy to adjust and can handle a full day of hunting. Kings Camo, based out of Utah, has been making western camouflage clothing for many successful years now. They also make some great day hunting backpacks to compliment their lineup. The 2200 is a good looking pack that held all of my gear very comfortably. The roll-top main compartment has a wide mouth to access or stow your gear easily and incorporates a magnetic seal and double side clips to securely close off the pack. Side pouches held my 80 mm spotting scope very tight to the pack with nice padded protection directly in front of the placement of your scope. This is a very thoughtful accessory, as most spotting scopes are very expensive. The large, main compartment has a 180-degree zipper to access your gear rapidly without going through the top. The smaller organizer pouches are perfect for organizing your small gear. The Mountain Top also comes with a water bladder to keep you cool and hydrated on your hunt. The pack has great support and padding with a mesh webbing to allow airflow against your back. 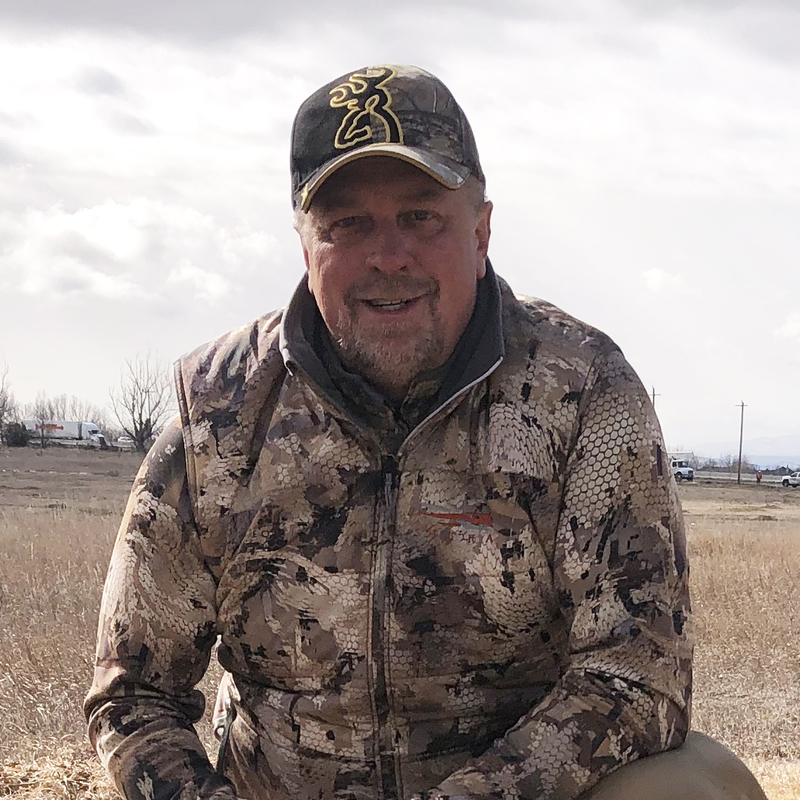 The shoulder straps have some convenient pouches for elk calls or ammo, another thought-out placement for quick access without removing your pack. The shell is made from rip-stop and has a stowaway shelf to take on extra game meat on your way back to camp. The Mountain Top is hard to beat, as it handled my gear perfectly and also offers a drop down weapons pocket for my bow or rifle. I would recommend this pack for anyone considering an affordable and versatile daypack for almost any hunting situation. It seems like no one really produces a daypack that is made to fail these days. I was eager to try out these packs for my fall hunts and as I mentioned at the beginning of this article, I would recommend you really think about what you are trying to accomplish with your pack, what type of hunt you are taking it on and what demands you are going to place on it when you are making your buying decision. Don’t be afraid to try on these packs at your local Sportsman’s Warehouse and even though they are empty, this can give you a base to start with as you envision using the pack on your next outdoor adventure.